This is the crosswalk over which Heo Joon-Jae (Lee Min-ho) drags Sim Chung (Gianna Jun) in episode 1 in Legend of the Blue Sea (푸른 바다의 전설) (SBS, 2016-17). 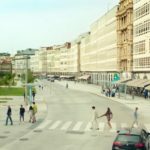 This crosswalk is located at the Avenue Marina [Avenida Marina] in the city of A Corunna [A Coruña] vis-à-vis the cities harbor. 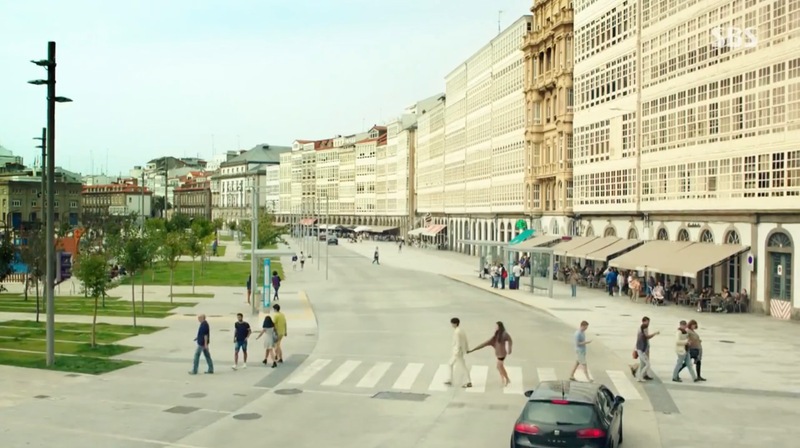 The row of townhouses at this street in front of which the scene happens, are characterized by Galerías de La Coruña which are balconies with glass facades framed in white wood.